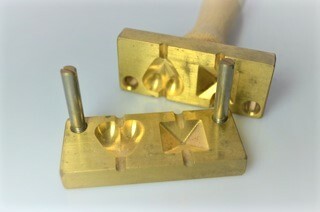 A duo press with two different designs . The 3d heart measures 20mm wide x 11mm thick and a length of 19mm , the hole is vertical from top to bottom . The Pillow design is 18mm square and 9mm deep with 4 faceted sides.